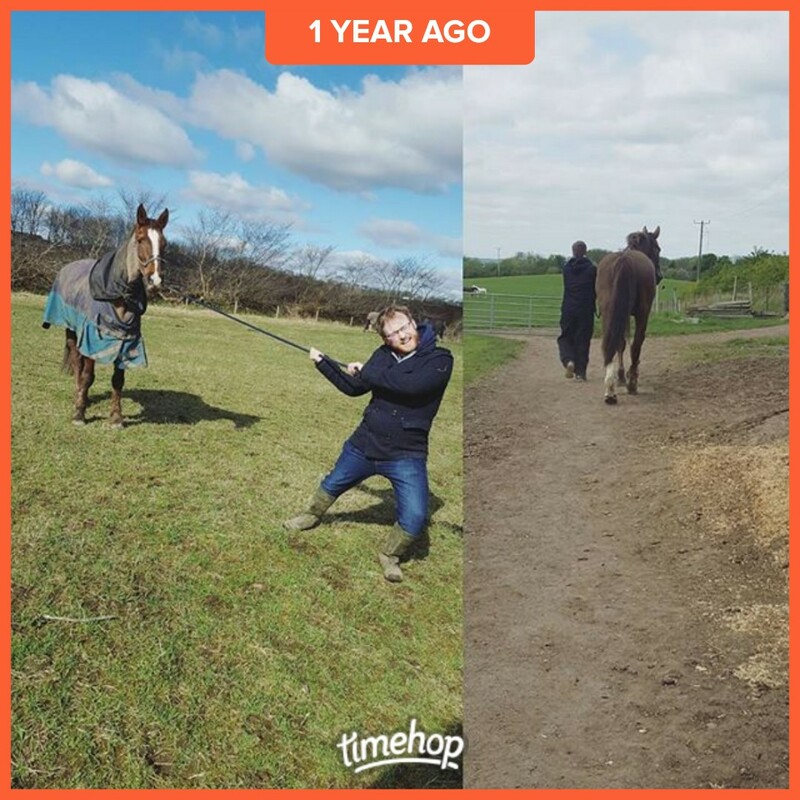 My boyfriend being completely non horsey when I first met him had to suddenly get used to horses when I bought my mare. My mare being completely unused to incompetent horse people had to suddenly get used to them. On the right a year later she quite happily walks beside him out to the field not even a backward glance to see where I am.